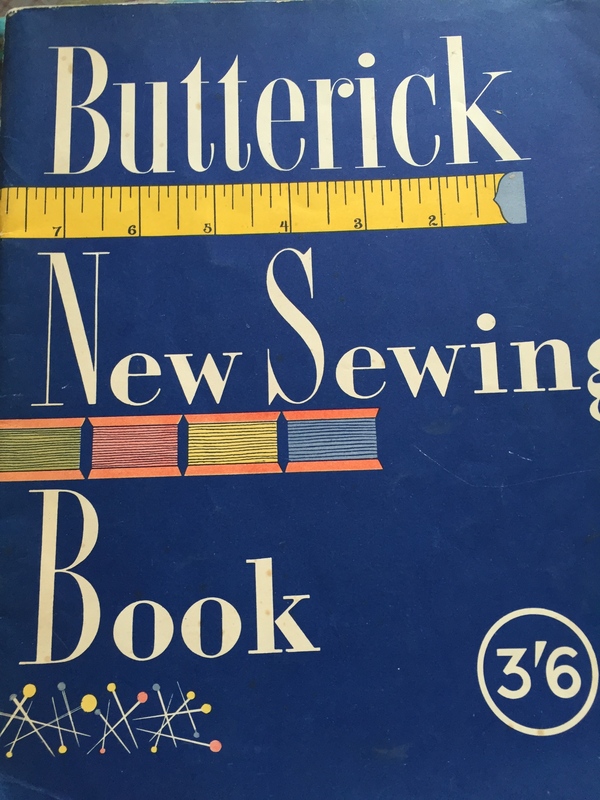 When out and about on my op shopping and market adventures, I always keep a look out for old sewing and quilting books. I have gathered a collection containing some absolute treasures. These old books provide a wealth of information. 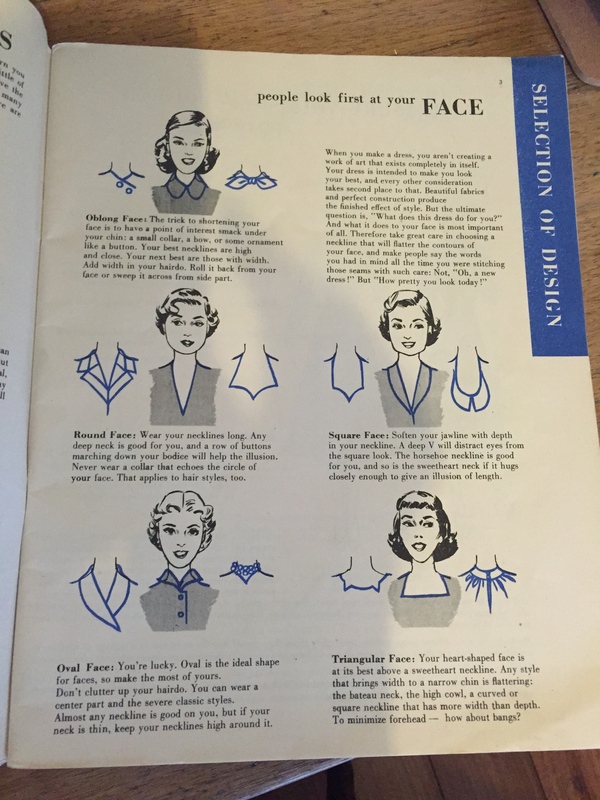 Amongst their pages you can find sewing techniques for clothes and home furnishings, fashion advice, etiquette and an insight into women’s roles from the era of publication. A well stocked work box, a good light and a comfortable chair make mending hours a pleasure and garments take new life. 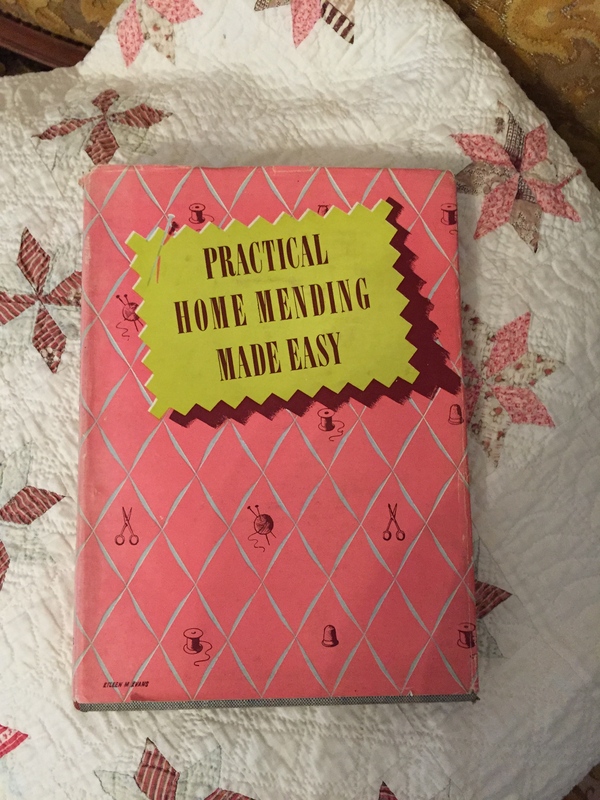 Book Covers, illustrations and photo plates all provide further insight into the lifestyles and choices for women during past decades when sewing was a necessity. 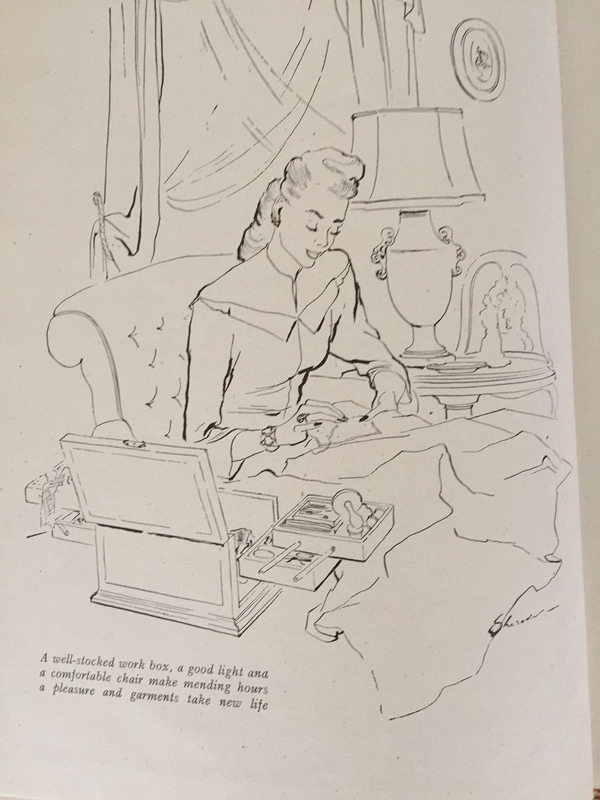 Unlike today when most of us sew for pure pleasure. 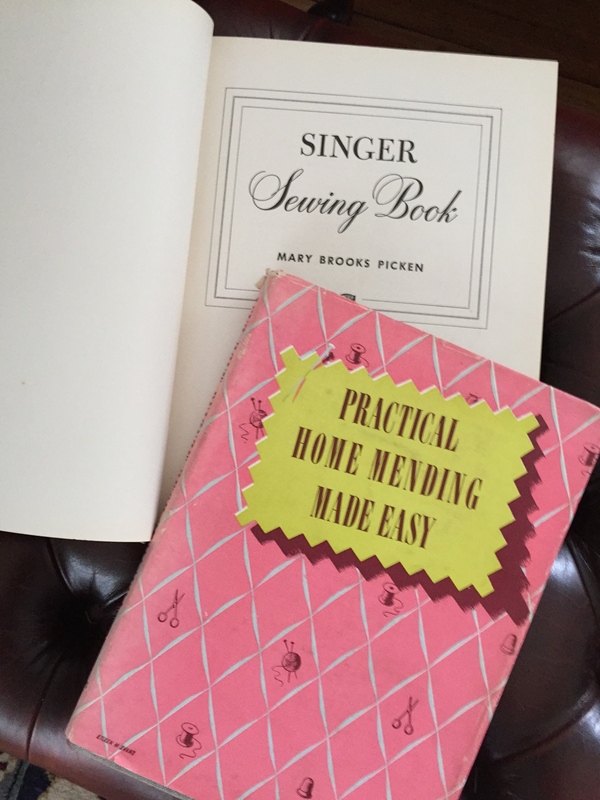 Mary Brooks Picken was the foremost authority on home sewing during the first half of the 20th century. Mary Brooks Picken was the author of 91 books on sewing and craft and was the Director of a famous correspondence school of sewing. 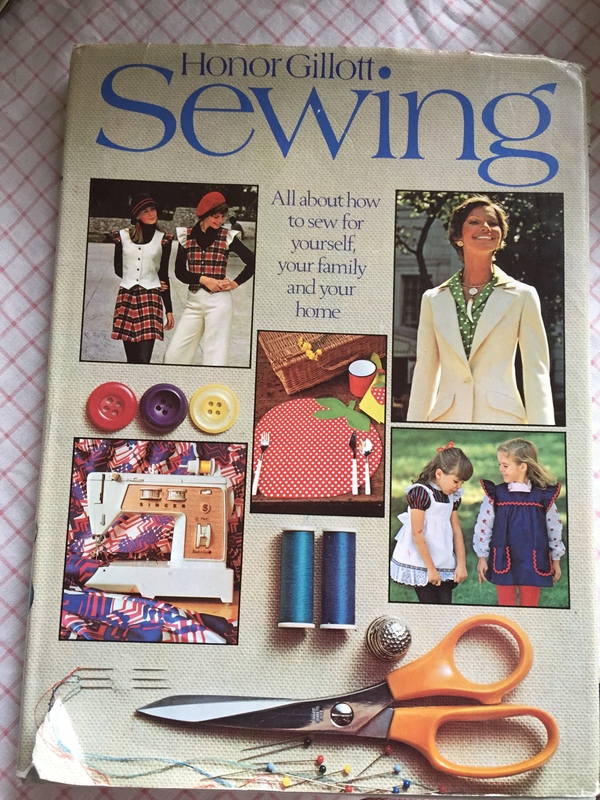 The Singer Sewing book was first published in 1949 with the first printing consisting of 50,000 copies. By 1950, 320,000 copies had been published. 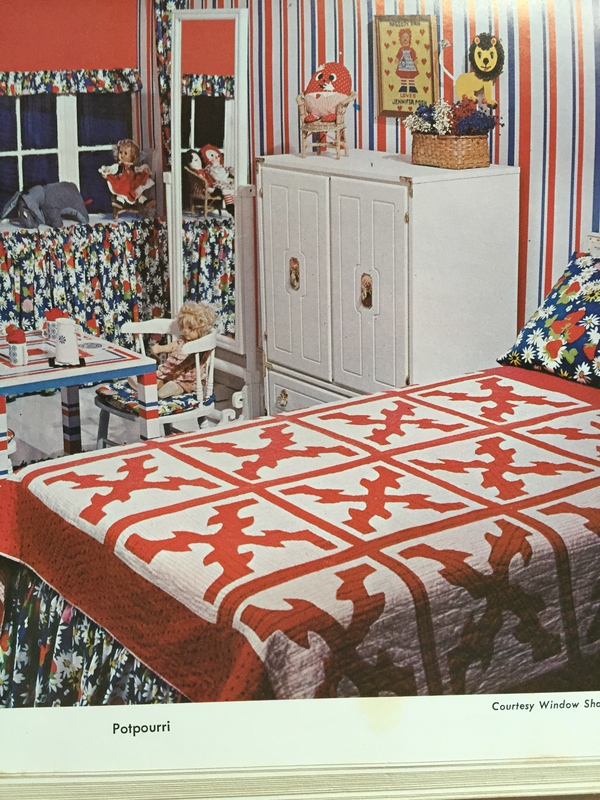 Bright colours for a child’s bedroom from Sewing for the Home. Another Mary Brooks Picken book. 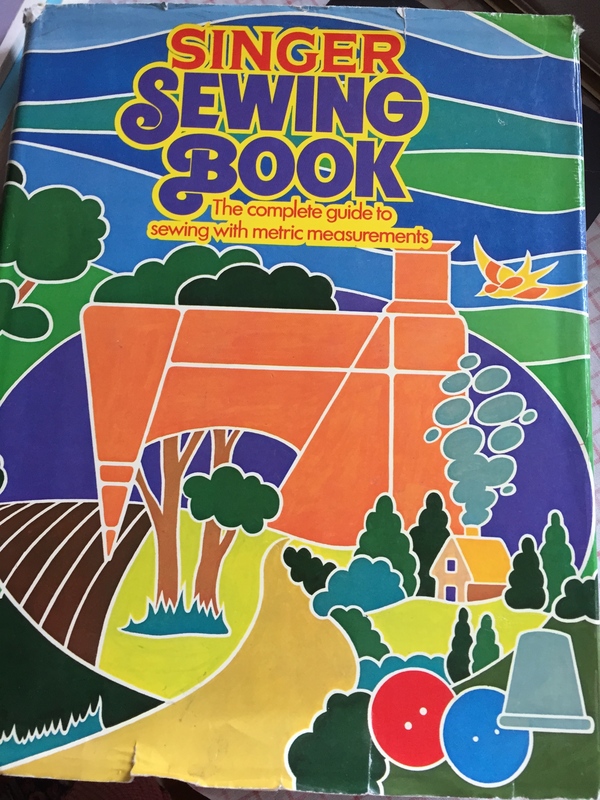 A later edition of the Singer Sewing Book publs. 1972. Love the graphics of this cover. 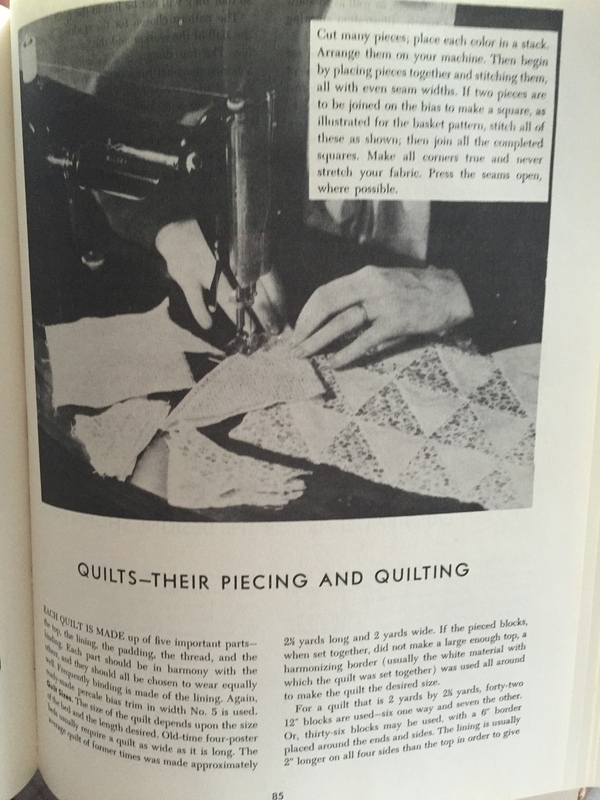 Quilts – their piecing and quilting. Very limited instructions provided but obviously enough for the experienced needlewoman. Sewing by Honor Gillott publs. 1973. Lots of mini skirts in this one. 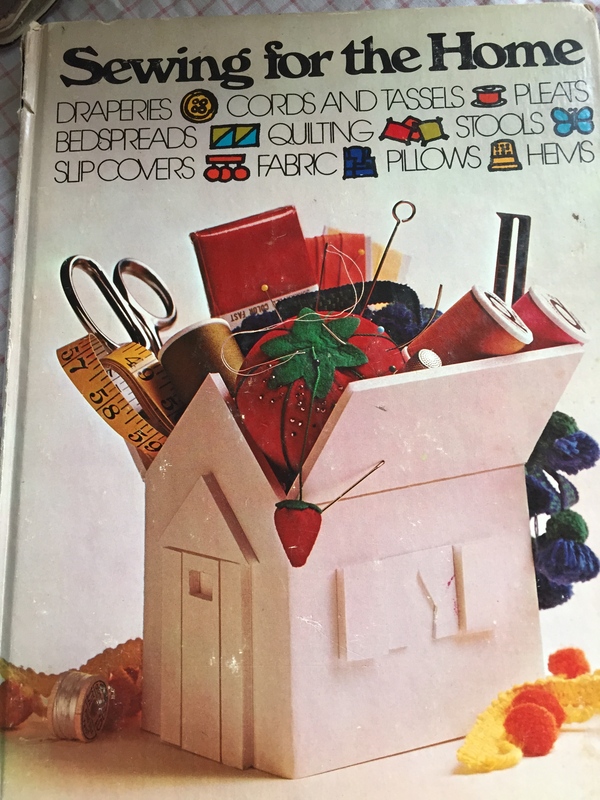 I am sure these sewing manuals provided helpful information and inspiration to home sewers at a time when money was often in short supply and if a new outfit was required it was more often than not a home sewn outfit. This was certainly the case when I was growing up, and I often had to do housework for my Mum so she could finish a dress for me to wear out that night. Thank you for stopping by, Janette – The Plain Needlewoman.